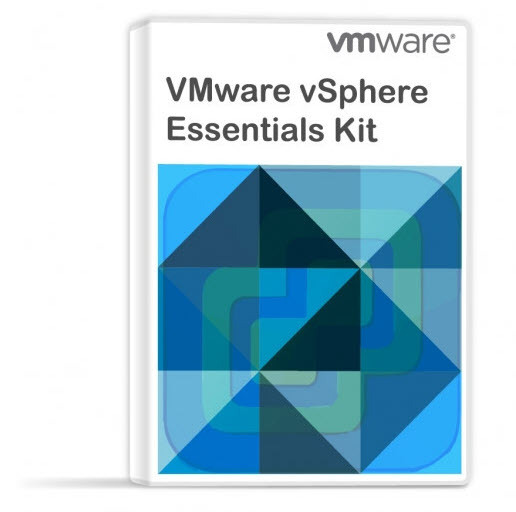 VMware vSphere 5 brings new possibility to install and configure vCenter in a Linux VM. The solution of having vCenter deployed through a simple OVF package without paying an additional license to Microsoft is tempting and encouraging. Especially for smaller customers, which aren’t on the Microsoft OVS package. Also being able to protect this VM throught a HA (High availability) is a considered as a very good practice, since any failures of the underlying hardware are transparent for the end user. The new vSphere 5 introduced by VMware has the possibility to have vCenter managed and installed in a Linux VM. The deployment process is apparently very easy since the product comes as a prepackaged and pre-instaled in an OVF format. In fact you still have a choice if you want to use this appliance or use Windows server as a vCenter. The vCenter Server Appliance (vCSA) – A linux VM (x64 bit SLES 11- vmware signed an agreement last year) which is deployed as an OVF file. And apparently the deployment process takes only about 5 min. vSphere Web Client – This new webinterface uses nice Flex interface which is already used in VMware View. One can manage all hosts from a single place by using this web console and access the essential functions of vSphere from any browser anywhere in the world. But before one got excited even more with the simplicity and speed of the deployment, let’s see some of the limitations. The first limitation is the number of VMs supported (5 hosts/50 VMs). Through an external DB – an Oracle DB the support gets larger (300 hosts/3000VMs). Another point which should be considered is the inexistent support of plug-ins, so if you’re using any storage vendor’s plug-ins, this might be the fact which might be considered as limiting for some of you. The appliance does supports AD and NIS authentication. It’s the v. 1.0 which will be distributed when the product will be opened to downloads. So one might consider to wait for 1.1 or 1.5 versions with more features and more robustness. As for now it’s is still RTM, not available for download yet. As for me, I do really like the concept which will definitely fit to many of small shops and SMBs. Smaler customers will certainly like the new VSA which is a new VMware Storage Appliance and permits the use of local disks to leverage vMotion and HA without shared SAN storage. I detailed the VMware VSA in my recent post here. fingertips from anywhere within vCenter. and power supplies occur, providing an integrated view of physical and virtual server health. visibility into storage infrastructure and assist in diagnosis and troubleshooting of storage issues. alarms can trigger new automated workflows to remedy and pre-empt problems. detailed statistics and graphs that can be viewed in real time or across a specified time interval.